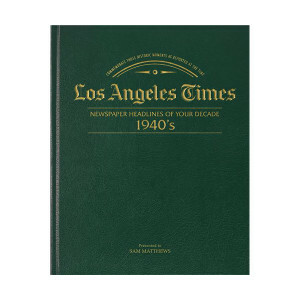 Experience the 1940's as they happened with this Los Angeles Times Decade Book. 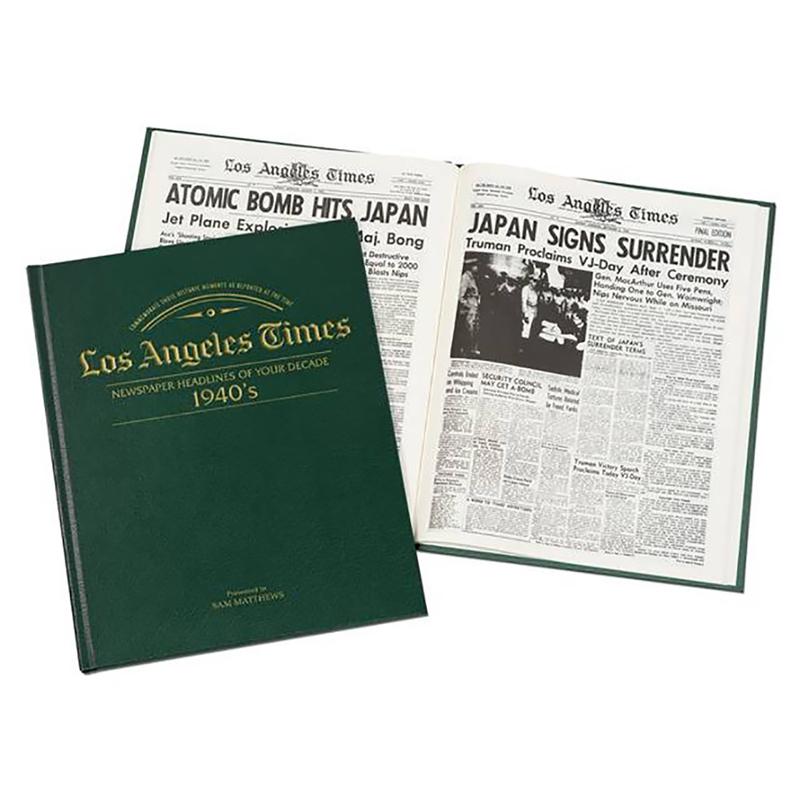 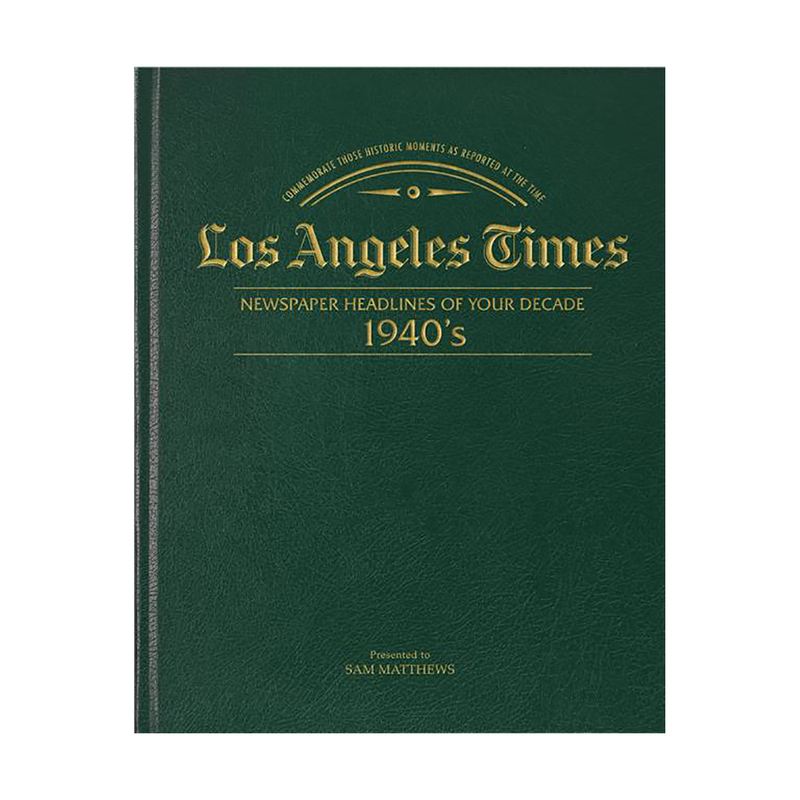 Featuring the stories and articles that shaped history, this collection showcases the major events of the forties as covered by the Los Angeles Times. 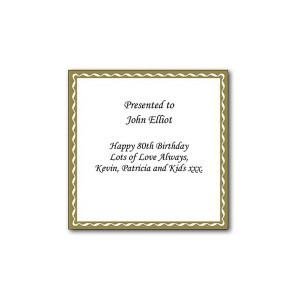 Also included, free personal message and embossed book cover. 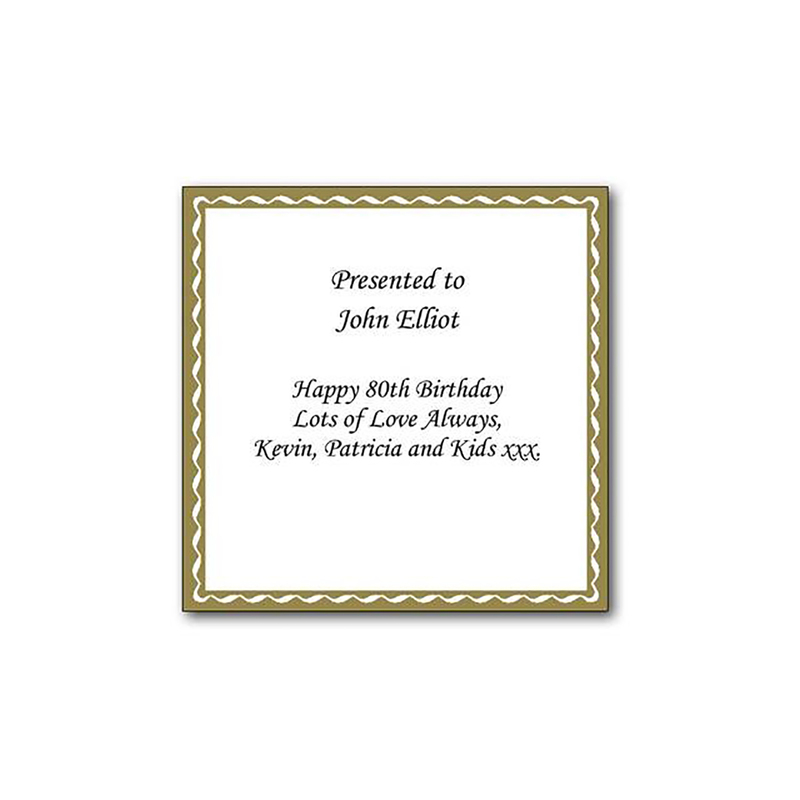 Be sure to add the message you wish to have written in the ""Personal Message box"" when ordering. This product will arrive within 2-4 weeks.